If you are a Telecoms, IT or digital agency looking for audio professionals to work as part of your audio team, we offer a reseller option that seamlessly integrates into your business. Create your own pricing model and offer professional audio services to your clients. We currently have over 100 curated voice-overs and hundreds of PRS, BMI, ASCAP free music tracks. Our reseller option has no links back to us and is anonymous to your customers and website visitors. 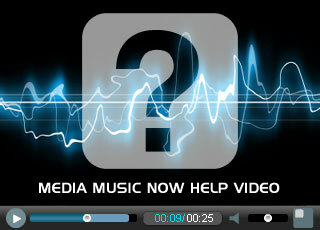 It will be perceived as part of your business and you can refer to us as your audio producers. This is true if you sell telecommunications systems but do not offer voiceover and music. We have been involved in telephone audio directly with the public for many years. Those customers use telecoms providers who do not offer voice and music services. Your clients want to sound professional and have professionally voiced telephone messages and hold music. In our experience, many companies like yours would like to offer a voice and music service, but do not have the voice overs, music licensing or audio skills available. However, you can now easily offer such services and your clients don't have to look elsewhere. If you don't offer an audio solution, your clients will start with Google, which exposes them to a plethora of telecommunications companies and voice over services. Some do both aspects and some do not. Either way, it is time-consuming, fragmented and confusing for your client, so chances are they may choose a company that provides both services for simplicity. When a client finds audio services there are always unknowns, such as, will it work with my system? How do I get it on to my system? And so on... Clients really don't want to have to worry about these things. Their ideal scenario is that they go to one place and get the lot. You can now do this for them. We do not charge eligible companies to become a reseller. You pay for our service as and when you need it. We have an easy application process and subject to approval you'll be able to start selling our audio services straightaway. Will my client realise I am outsourcing my telephone audio? No, only if you tell them. Our reseller option has none of our MediaMusicNow branding and nothing we provide you with (such as embedded music and voice demos) can be traced back to MediaMusicNow. You can just let your client know that you have an audio production team. You have to be genuinely interested in offeing our services and be one of the types of companies we work with. We request that you have at least one page on your website to promote our service and ideally embed our audio demos into your website. Otherwise, clients will not know you offer the service or hear how good it sounds. To apply to become a reseller of our telephone audio service please get in touch.